L’échapper belle | One quality, the finest. 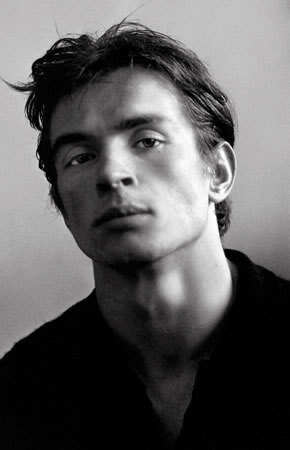 Rudolf Khametovich Nureyev defected to the west at the Paris airport of Le Bourget on June 16, 1961, fifty years ago. He was in Paris with the Kirov ballet’s European tour. Apparently, the KGB suspected that Nureyev was in danger of defection and tried various ruses to get him to return to Russia. The troupe was waiting to board a flight to England when the 23 year old dancer evaded embassy guards who had been sent to take him home. He ran through two security barriers shouting in English, “I want to be free!” France quickly granted him political asylum. Nureyev enjoyed a brilliant career in the west, including long stints with London’s Royal Ballet and as director of the Paris Opera ballet company. His last public appearance was in 1992. French culture minister Jack Lang awarded him France’s highest decoration for service to the arts and made him a Commandeur de l’Ordre des Arts et des Lettres. He died of AIDS shortly thereafter, aged 54. He is buried in a Russian cemetery in Sainte-Geneviève-des-Bois outside of Paris. Today’s expression, l’échapper belle (layshapay bell) literally means “to escape beautiful.” Figuratively, however, it means “a close call.” That’s certainly what Nureyev had in Paris fifty years ago today. This entry was posted in Ballet, People and tagged Commandeur de l’Ordre des Arts et des Lettres, culture minister Jack Lang, L’échapper belle, Opera Ballet, Royal Ballet, Rudolf Khametovich Nureyev, Sainte-Geneviève-des-Bois. Bookmark the permalink.